But why no AV question? There’s a new ComRes phone poll out for tomorrow’s Indy which shows a four points drop for the reds with a two point increase for the yellows and a one point increase for the blues. That, of course relates to an election that’s not likely to take place for another four years and two months using an electoral system that has yet to be determined with a reduced number of constituencies on new boundaries. So what about the national election that we know is happening in just over nine weeks time? There doesn’t seem to have been an AV question. Given the cost of staging phone polls it seems crazy that this has been omitted. Because ComRes phone polling is very different from the firm’s recently introduced online polling I am now planinng to show the two series separately so the proper comparisons can be made. The Lib Dem and Tory increases are within the margin of error – but Labour’s drop goes beyond that. Are we seeing a fall-back from Labour’s previously high positions or is just a one poll blip? Certainly ComRes is now relatively in line with the other two phone pollsters that past vote weight their samples – ICM and Populus. All have Labour in the 30s with leaders of either 3 or 4 points. Also coming out tonight is the latest YouGov online phone poll. I’ll update as soon as I get that. 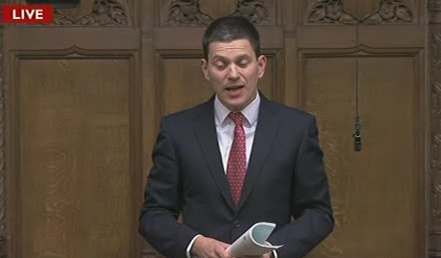 What does the future hold for David Miliband? Does he still hanker after the leadership? One of the slightly odd features of this afternoon’s Cameron statement on Libya was that not so long after Ed Miliband gave his response his brother, the former foreign secretary, was called. The elder brother made a very statesman-like contribution from the unfamiliar position of the back benches and for a moment I thought he was going to upstage Ed. He didn’t and kept his point brief. But what is going to happen to DavidM? There have been all sort of suggestions since that Saturday afternoon at the end of September when he was just pipped for the leadership by his brother in the final round of voting. This has also been an area where there’ve been betting markets. The last we heard was that he’d declined shadow chancellor slot thus underlining the fact that Ed Balls was EdM’s third choice for this key role. I just wonder whether DavidM heart is still on the leadership and he’s biding his time. Whether he’d get it or not, given Labour’s electoral system, is hard to say. Ladbrokes make DM the 5/1 joint favourite. Should you be getting your money on? Last September when I first got whiff of the rumours surrounding William Hague I had a punt at odds much less favourable than Ladbrokes current 8/1 that the foreign secretary, William Hague, would be the next cabinet minister to leave. The former Tory leader survived difficult few days but the my bets still stands although I thinks it’s a loser. The only cabinet to leave since the coalition was formed last May has been David Laws and the government has remained intact. It seems the interest in Hague, he’s moved in from 12/1, is being driven by what some are seeing as his less than convincing performances in response to the Libya crisis. Maybe – maybe not. But politicians are by their nature hugely resilient and Cameron has shown himself to be loyal to his team. 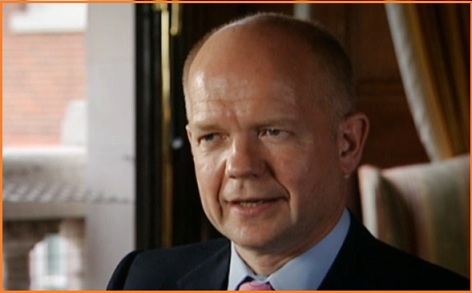 Hague, it will be recalled, was absolutely central to the coalition negotiations with the Lib Dems after the general election and was the one who communicated to the yellows the final offer that sealed the deal – the binding AV referendum which the blues would support without a turnout threshold with whipped votes in the commons. If the May 5th referendum goes wrong for the Tories then everything that went on over that crucial weekend last May will be subject to the most intense scrutiny and Cameron will want to have Hague at his side. My reading of the terms of the betting markets is that it requires someone to leave the cabinet completely – so that wouldn’t cover being switched to another role. Many smaller European countries manage to count their votes in four hours or less, but Ireland isnâ€™t one of them. However, the marathon vote count in this historic election is finally drawing to a close, but with 16 Dail seats remaining to be filled, and four constituencies still counting (Laois-Offaly, Wicklow, and recounts in both Galway seats). Fine Gael are expected to finish in the mid-seventies for seats, Labour on about 36, with FF possibly reaching 20, while Sinn Fein are expected to make 14, with Independents and Others having already reached 17. The Greens meanwhile have paid the price for their involvement in the outgoing government and have lost all of their seats in the Dail. On the percentage vote shares, FG have secured 36% (up 9), Labour are on 19 (up 9), FF are on 17 (down a massive 24), Sinn Fein are on 10 (up 3), while Independents/Others have scored 13 (up 7). In terms of a fall in a partyâ€™s vote share, FF are almost on a par with the Canadian Conservatives in 1993, and well ahead of Japanâ€™s LDP in 2009. Itâ€™s a moot point as to whether they can survive as a force in Irish politics, although my guess is that they probably will. It now seems to be the general expectation that the new administration will consist of Fine Gael and Labour in order to form a stable government (and indeed Paddy Power paid out on this yesterday! ), with talks maybe starting tonight. This does give Fianna Fail an opportunity in the sense that they are the largest opposition party â€“ but Sinn Fein are now snapping strongly at their heels. Finally, special thanks to Richard Nabavi for his two excellent articles on Ireland during the campaign. Could moving off the issue rebound on NO? 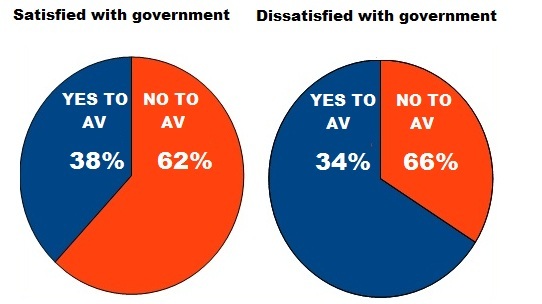 Is “YES to AV” a proxy for government dissatisfaction? This week the NO campaign will focus its attention not on the issue that’s on the ballot paper but on Nick Clegg. The aim is to make the May 5th election a referendum on the Lib Dem leader. Ads have been drawn up with the headline “Say No to President Clegg” together with their claim that a switch to AV will cost Â£250m – a figure that has been attacked from many quarters. But couldn’t moving away from the question on the ballot paper cause voters to think more broadly about their view of the government. The polling suggests this might be happening already. The challenge for NO is seen in the above charts – based on data from Thursday’s Ipsos-MORI poll. For this suggests that there’s a strong linkage between being whether you are satisfied with the government and whether you’ll vote YES or NO. Very helpfully MORI provided cross tabs on the referendum question to responses to the pollsters monthly standard question “Are you satisfied or dissatisfied with the way the Government is running the country?”. Amongst those saying they are certain to vote in the referendum the “Satisfied” split NO 62% to YES 38%. Amongst the “Dissatisfied” the referendum split was NO 34% to YES 66%. Overall in the poll respondents said 60% Dissatisfied to 31% Satisfied on the way the government is running the country. Will the Libya rescue change the narrative? Has the SAS come to the aid of government? 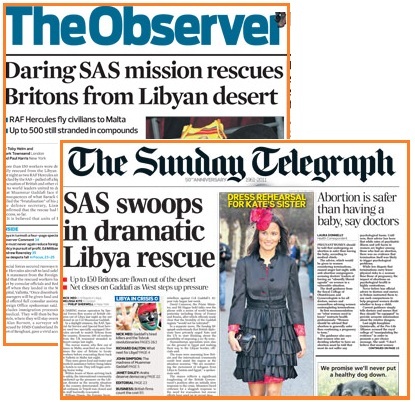 So far the early headlines look pretty good for ministers with the SAS rescue in Libya capturing the imagination of several headline writers. There’s something about the SAS that runs very deep in the British psyche and the reports that their heroism has yet again helped sort out a potentially difficult situation will be devoured eagerly at home. After a tricky week or the government this could not have been better timed and no doubt there will be political benefits. Tonight’s Sunday Times YouGov poll has CON 36%: LAB 44%: LD 10% – so the online pollster once again showing a Labour share that is out of line with the other firms. Polling update: By-election survey the Mail on Sunday is carrying a poll from Survation suggesting that, as expected, Labour will romp home to a massive victory in Thursday’s Barnsley Central by-election. The shares were LAB 63%: CON 13%: UKIP 9%: LD 6%. If it were otherwise then this would be news. 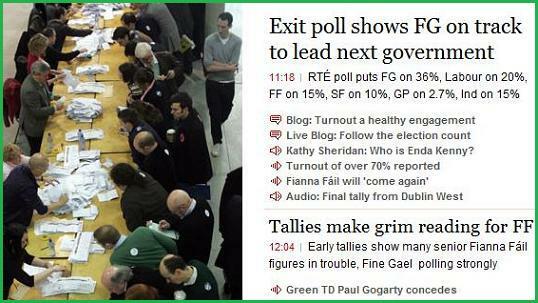 FG set for government, FF for meltdown, Labour for coalition? One of the world’s longest election counts is now underway, with unofficial (but normally very accurate) vote tallies coming in from all over Ireland. Most first counts won’t be declared until mid-afternoon or even early evening, and it’s likely to take well into Sunday for the counting to near its finish. What is already clear is that this will be a historic election in the history of the Irish Republic, with Fianna FÃ¡il, which has not lost an election since 1932, in meltdown, with their exit poll vote share down a massive 26 points to just 15% (and down 31 points in Dublin!). The RTE exit poll released at 8am showed Fine Gael set for government with 36%, with Labour in a strong second place showing with a highest ever share at 20%, followed by FF in third, with Sinn Fein in fourth with a record 10%, and the Greens on 3, while the share for Independents and Others was at a large 15%. Due to the complexity of the STV electoral system, no seat projections were attached to the exit poll, although Trinity College’s Michael Marsh made a prediction of FG 72, Labour 38, FF 20, SF 15, Greens 1, with 20 Independents/Others. It thus looks as though Fine Gael will be short of the 84 seats needed for a majority, and although it might be possible for them to persuade some like-minded Independents to support them (the “Others” are set to be a very mixed bag, including some Left TDs), if we are to believe the betting markets, it’s a dead cert for it to be a Fine Gael/Labour coalition, with Paddy Power currently rating this combination at a very short-priced 1/33. In the Election Game, with 81 entries, average seat predictions were FG 71, Labour 35, FF 29, SF 13, Greens 4 and Others 14. Do the political classes yet understand the power of the web? Are the Arab Revolutions the first sign of its true potency? Every major new medium challenges and often revolutionises how politics is done. From the invention of printed books through to newspapers, radio and television, each has challenged the elite of the day both to adapt their skills to the new technology but also to handle how the populations respond to the increasing availability and usage of each new medium. The internet – still a very young and growing technology – has the capacity to be more powerful than any of these earlier media because while they are essentially passive media, where the public consumes what the writers or producers create, the internet is far more active. The kind of micro-publishing done on Twitter, Youtube or blogs can be done by billions as well as read by them, and this scope means it operates more comprehensively and instantaneously than old-school media; something which even very authoritarian governments therefore find difficult to control, especially when allied to mobile phones. All this makes it far harder for elites to spin a message to their country that flies in the face of the peopleâ€™s experience. In democratic countries, we get the kind of popular spoofing of campaign posters, video messages etc that we saw in the UK general election that can render them ineffective or counterproductive; in partially or non-democratic countries, posts to YouTube or Twitter can undermine a regimeâ€™s assertions or evidence its actions in a way previously impossible. At a minimum, it forces the oppression into the open; at most, it leads to its collapse. Used skilfully, it is possible for a politician or party to use the web for their own ends – its ability to cut through the middleman to deliver messages direct or raise funds is greater than was the case in the pre-web days. Even so, itâ€™s been a better launch pad than a tool for the establishment. What does this mean for the legacy media? That newspapers still sell despite easy web access, never mind TV and radio, shows thereâ€™s still an appetite for paper copy but they will forever more be behind the curve (even their own exclusives can usually be read about online before the papers arrive). For the papers, getting â€˜newsâ€™ out is likely to become less and less a priority as they shift to magazine-style articles of analysis, opinion, gossip, investigation and quality description. Media companies have always followed their readers, listeners and viewers as much as lead them. They have even more reason to do so now, with so many other options (and so much more information to use, should they choose to do so). That makes governmentsâ€™ jobs harder too. Perhaps they shouldnâ€™t be looking for a new Alistair Campbell – it may not even be possible for an all-powerful spin doctor to operate these days: itâ€™s too easy for independent bloggers to counter the â€˜lineâ€™. Revolutions have always taken place so it would be wrong to ascribe too much influence to a means of communication, even a two-way one. Other factors are at least as powerful. That said, the images and news passing from country to country clearly has an effect and all governments, democratic and otherwise, have operated on a basis of working one way or another with a relatively small number of media organisations and trying to produce stories suited to them – something that will be increasingly difficult to do as control over information and its dissemination slips from those central positions to the population at large. 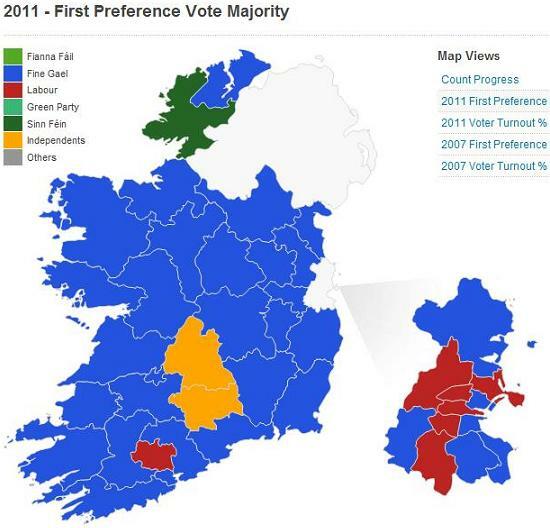 On the related theme of old certainties being overturned, Ireland went to the polls yesterday and has probably given a crushing defeat to the previously dominant Fianna Fail party. Counting by STV will go on all day (and weekend) but the likely outcome should be fairly clear by early afternoon. We’ll be having an Ireland live thread from about 2pm. In the meantime, you can follow the RTE live blog here, the results map is here, and the live coverage should be available here.